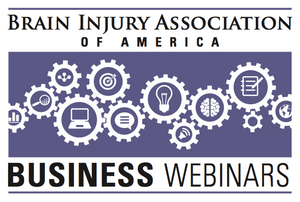 A Business of Brain Injury webinar featuring Katherine McKenzie-Meredith, Psy.D., and Brian White, MRC, M.S., LPC, CRC. Aired live January 16, 2019. Often the steps to identify and address issues like verbal abuse, physical abuse, sexual abuse, or neglect are more easily identified and addressed when working with vulnerable populations. However, the dangers of exploitation are prevalent and become even more concerning as technology advances and opportunities for exploitation increase. It is important for those who work in healthcare to know how to identify individuals who might be at risk for exploitation and also understand some strategies that might be used to protect populations at risk.